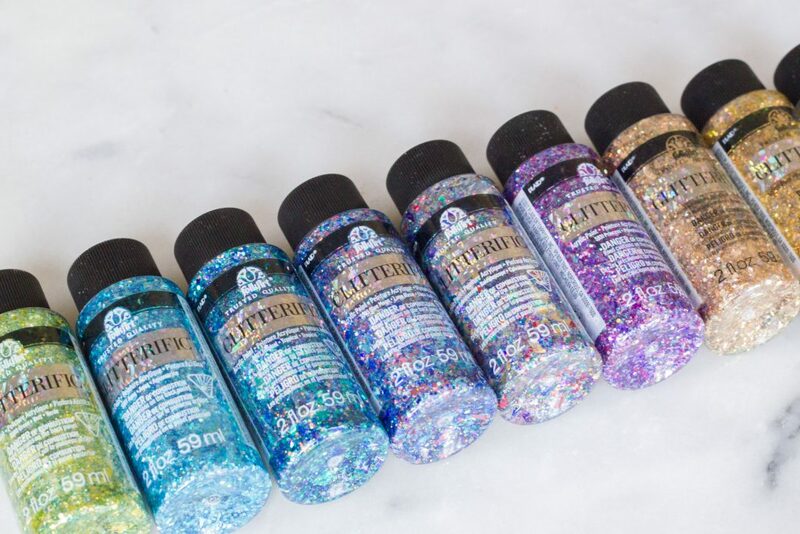 I live in a house full of boys, so it isn’t often that I have the opportunity to use glitter. 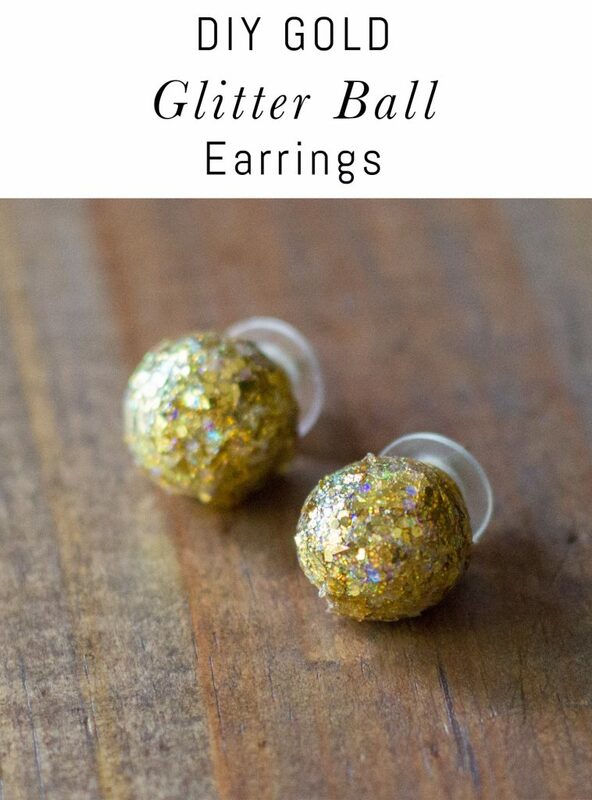 In fact, I’m typically not a big glitter fan, but I did find the perfect use for it! 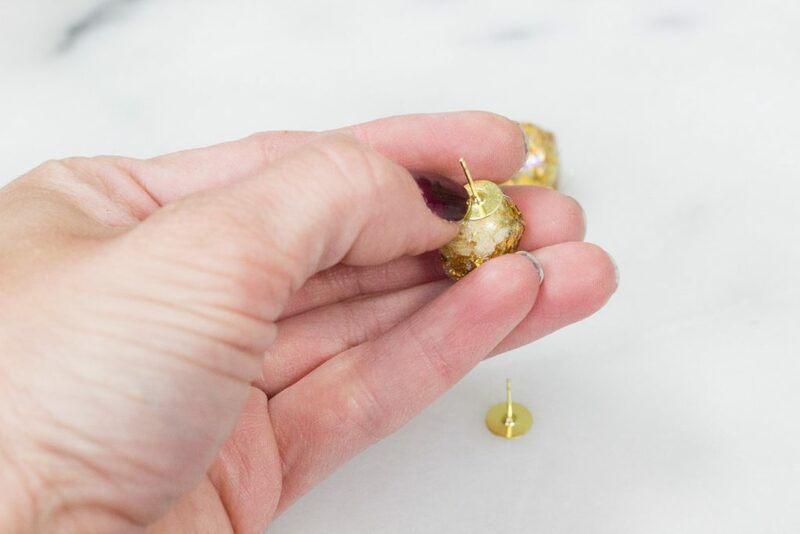 Today I’ll show you how I made these cute DIY gold glitter ball earrings using a brand new product called FolkArt® Glitterific™ Acrylic Paint. Disclosure: This post is sponsored by Plaid®. All opinions are my own. 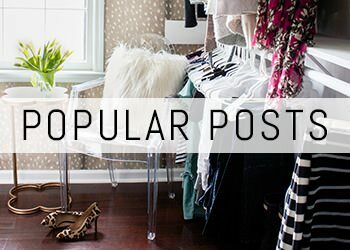 These are easy and inexpensive to make, plus there are lots of ways to customize them to your preferred size, color, and style. 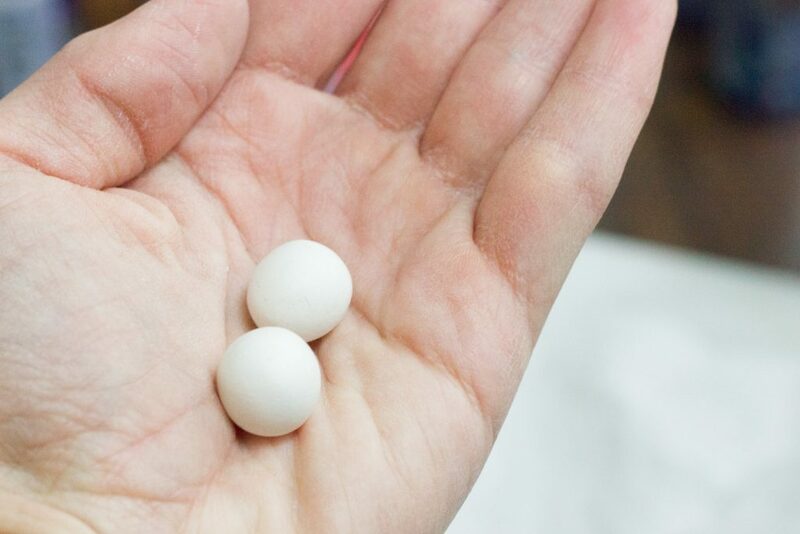 First, cut two small, equal sized chunks of polymer clay and roll each of them into a ball. Bake your clay in the oven, following the instructions on the package. (Depending on the brand you use, bake times may vary.) I baked mine at 275 degrees for about 15 minutes. 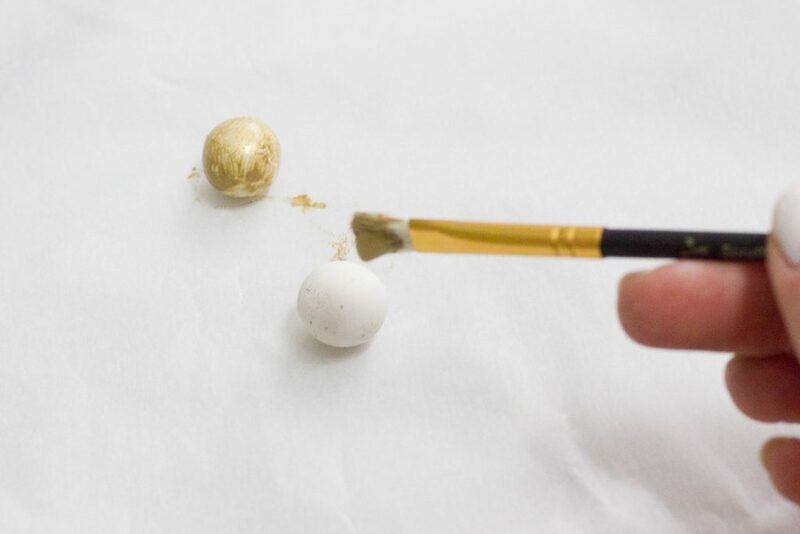 Paint your balls of clay with FolkArt Brushed Metal and allow to dry. Now comes the fun part! 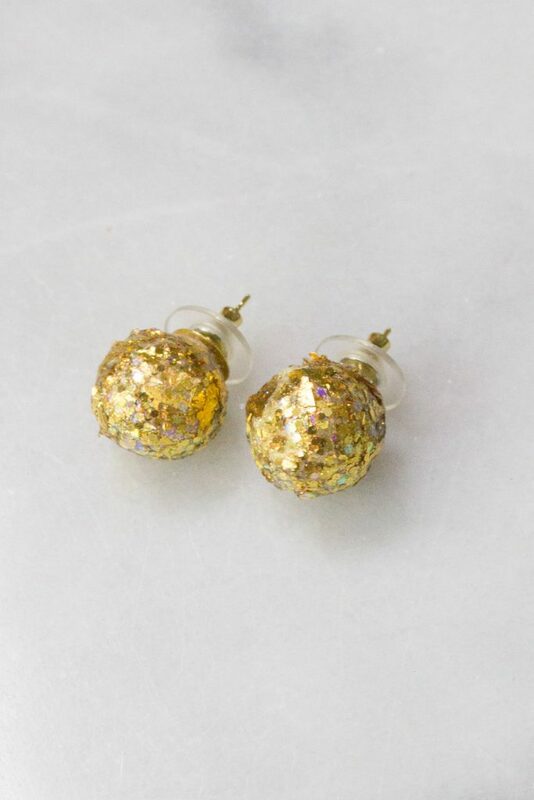 Apply FolkArt Glitterific to your earrings. 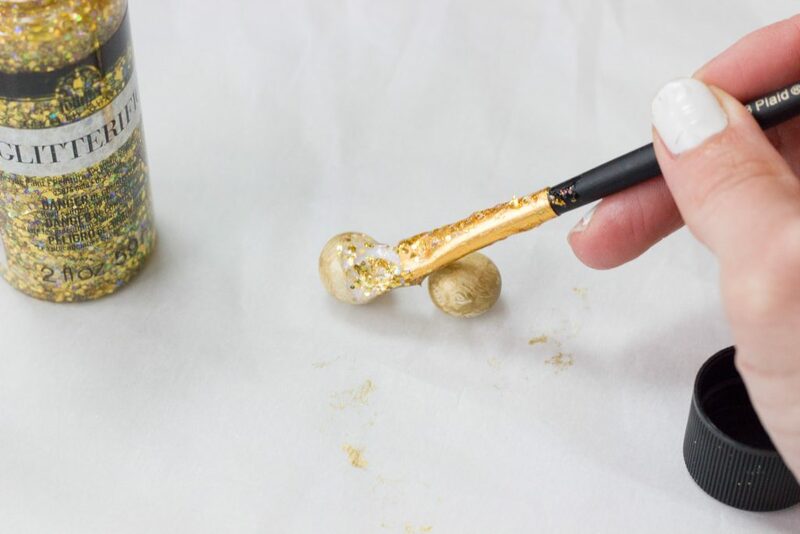 This glitter is super chunky so you will just have to layer it on. I allowed it to dry and applied a couple of coats. I used a brush but I think a spouncer would have worked better. 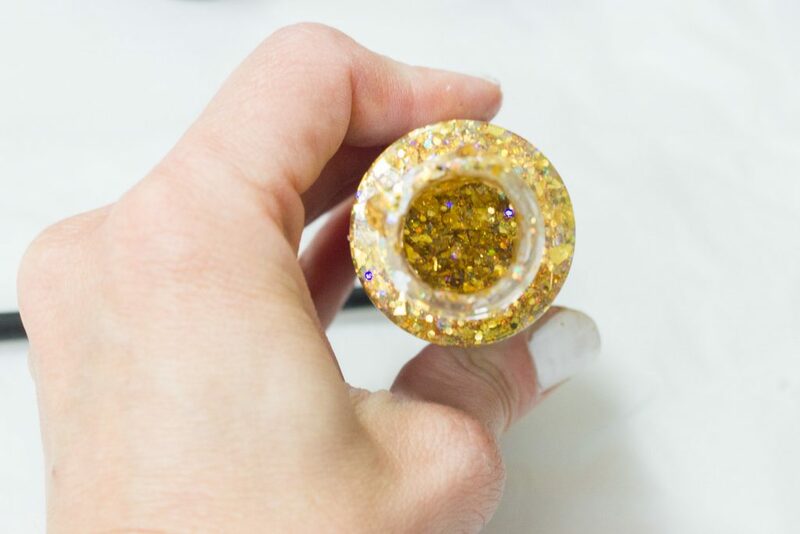 Glitterific has multiple sized glitter particles that are suspended in a crystal clear base and creates super sparkly coverage. 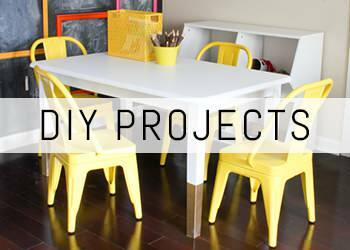 You can use it on wood, metal, glass, canvas, paper, decorative fabrics, and rigid plastic. It’s ultra high gloss and comes in 21 colors, plus it’s water-based for easy clean-up and it’s made in the USA. You can find 10 colors available now on Plaid online, with more colors launching later this spring as well as at more retailers. 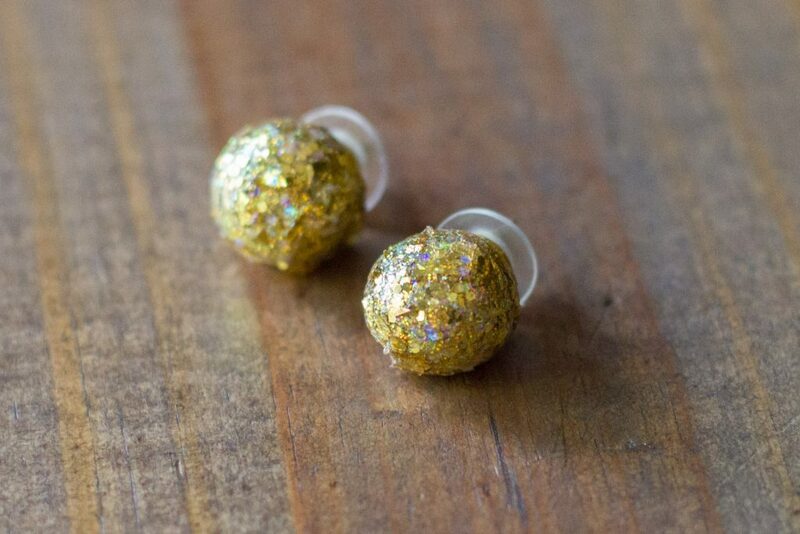 Using super glue, attach the earring post to your glitter balls. Allow to dry, and you’re done! OH my gosh that’s so cute! I would probably mess this up tho lol I get nervous with tiny crafts!